Emilia Kirova studied music at the Pantcho Vladigerov State Conservatory in Sofia, where she specialised in classical violin and singing. As a composer, as a violinist and as a vocalist she won several prizes including the "Golden Orpheus" International Competition for pop songs and vocalists. She performed on festivals in Norwich (UK), Paris (FR), Pyongyang (Korea), Nicosia (Cyprus) and Sofia (Bulgaria). Since 1997 she lives in Belgium where she performs with many different bands. 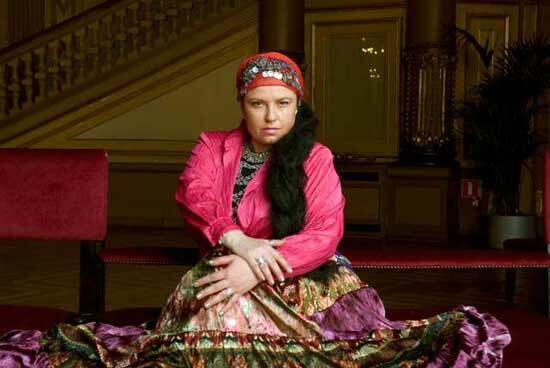 When invited by Gipsy Band Tzigani as a guest singer/violinist, she sings and plays traditional gypsy music from Russia and the Balkans, as well as music composed by Goran Bregovic for several well known "gypsy movies" by Emir Kusturica.